Shamcey Supsup wedding with Lloyd Lee yesterday also turned out to be a gathering of beauties, from Venus Raj to Bea Rose Santiago, they were all there (except for Miss Universe 2012 1st Runner Up Janine Tugonon) for their fellow beauty queen and friend on her big wedding day. Most of them actually were part of the entourage. The wedding got the most gorgeous guests ever! Even Shamcey's co-candidates from Miss Universe 2011 pageant who are now her best friends, Miss Singapore Valerie Lim and Miss Korea Sora Chong, didn't fail to come to the wedding. 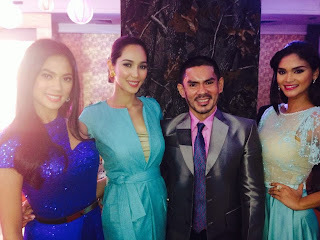 Pictured with them here is Jonas Gaffud, Shamcey's trainer/mentor. 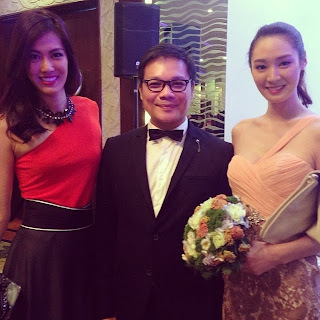 Miss Singapore was also here during the couple's engagement last June. Other "Binibinis" in attendance not mentioned above were Miss Supranational 2012 3rd Runner Up Elaine Moll, Bb. Pilipinas 2008 semi-finalist Toni Hipolito, Bb. 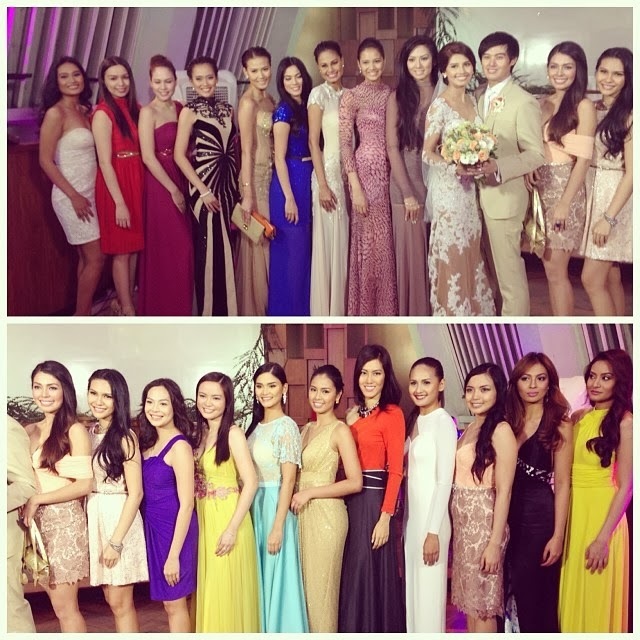 Pilipinas 2011 candidate and groom's cousin Carolyn Ty and many more, as well as Miss World 2012 finalist Queenierich Rehman. Janine Tugonon, who succeeded Shamcey as Philippines' Miss Universe representative last year and is currently in the US, expressed feeling of regret for not being able to attend the wedding. "Should have flown to Philippines for Sham's wedding!! 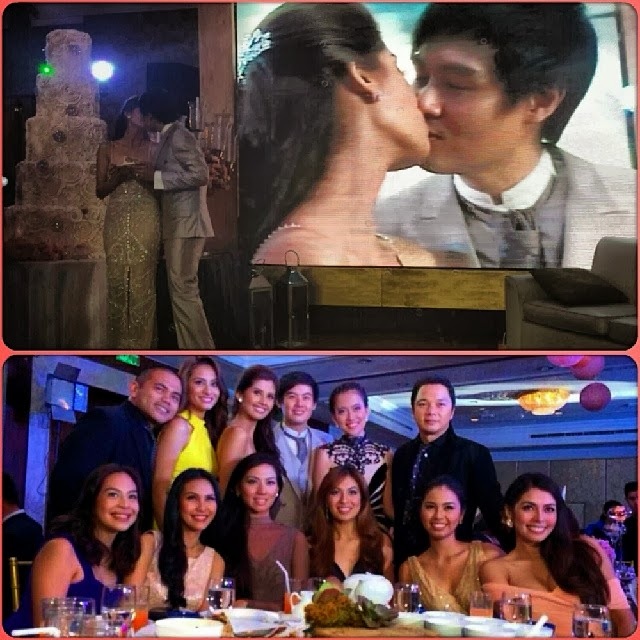 =(( Wish i was there to witness Shamcey and Lloyd become ONE!," she said via Twitter. Loisa Andalio nearly falls on her face while playing for Showtime "Cash-Ya!" Vice Ganda and Ronnie Alonte linked to a scandal! Is it legit? Anne Curtis, drunk, slapped John Lloyd Cruz!